A couple of weeks back, Matt Hochberg issued his State of the Studios at Studios Central. It got me thinking that each park could use a reminder of what has been going right and what could be better. With that in mind, and feeling that there are others more qualified to speak on behalf of the Magic Kingdom and Epcot, I am compelled to speak about the one park that is so often looked upon as the red-headed stepchild of Walt Disney World, Disney’s Animal Kingdom. The state of Disney’s Animal Kingdom is strong. It is not the half day park it has been so often schlepped of as. It is filled with intriguing stories that could overflow the boundaries of a single day. It deserves our respect and encouragement, and we will watch it flourish. 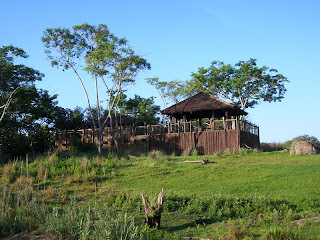 For starters, as 2011 began, the park saw the addition of a brand new tour, the Wild Africa Trek. The tour focused on getting closer and spending more time with the animals of Africa, both from Kilimanjaro Safaris and Pangani Forest Exploration. The animal experts provide a wealth of information to nourish the mind while a meal was included, breakfast or lunch depending on your groups start time, to nourish the body. The real adventure of the tour comes from the manner in which you maneuver through the enclosures, from off the beaten path trails to rope bridges that are missing some slats. This type of up close and personal adventure is just what the park needs, and I wouldn't be surprised if a similar type of experience showed up in Asia at some point. Speaking of Asia, let’s go ahead and discuss the elephant, or rather yeti, in the room. This behemoth is the highlight of one of the most amazing attractions in Walt Disney World. From queue to shop, every minute detail has been covered here. 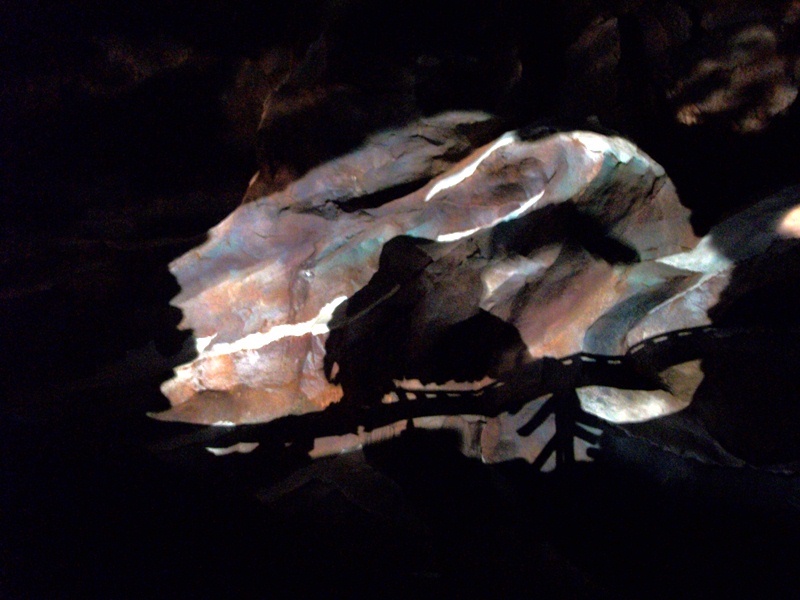 However, the yeti’s stunning presence, or rather the lack thereof, is a stain upon this otherwise breathtaking and inspiring attraction. While I am sure Expedition Everest will continue to gobble up guests whether Disco Yeti is fixed or not, this needs to be fixed sooner rather than later. The main message of Disney’s Animal Kingdom, the conservation and preservation of creatures and natural spaces, is visible in every corner of the park. Over the past couple of years, however, I’ve realized that a secondary message, a salute to Broadway if you will, is also fairly prevalent. 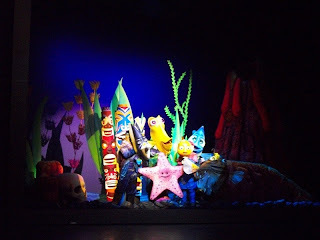 Okay, maybe not a message, but the shows featured in the park are amazing, and continue to enthrall guests. A new show in Africa or Asia would be nice, however. Speaking of new, Disney’s Animal Kingdom is due for an infusion of new blood, by which I mean new animals, new corners of the world, and new attractions. Unfortunately, I do not foresee any signs that this will be taking place in 2012. The construction of a new land based upon the mythical planet of Pandora will begin either later in 2012 or, more likely, in 2013. While it may not be the Beastly Kingdom die-hards had hoped for, and it may not include real creatures from our own planet that I would hope for, it is a step towards expanding the appeal of Disney’s Animal Kingdom. A growing segment of the park’s entertainment has come from small, personal interactions with Cast Members from far way countries. Educating through music, art, and discussion is crucial to not only enhancing the guest experience but to creating bonds to the outside world. I hope these exchanges in Harambe and Anandapur continue to thrive, as their impact is an important part of facilitating the message of the park. Aside from Epcot, there is no place better for diverse meal options that Disney’s Animal Kingdom. From quick service to sit down meals, there is something to be said for the variety that has sprung up around this park. Oh, and if you’re still craving that hamburger, they have those here too! As a whole, the park is in looking good, but it could always be better. From cleaning out the muck along the Discovery River to finding new and innovative ways to entertain and engage guests, there is always more that can be done. Yet, when you look at what really matters, the care of the animals and the way in which their message is spread, you have to see that Disney’s Animal Kingdom is in great shape! I have to say that I found it really interesting when I was in Animal Kingdom the weekend before last that about 30-40% of the people working in Africa on this trip were actually from South America (mainly Peru and Venezuela). I didn't notice this on my previous trip.